Let's face it. The Russia probe has plagued Americans' lives for the last 22 months. Democrats have ran with the idea that President Donald Trump colluded with Russia. Now that Attorney General William Barr has vindicated Trump, Republicans have a clear message for Democrats: it's time to move on. It's time for our country to heal from this disaster. Our country welcomes this long-overdue conclusion. After two years, two congressional investigations, and now the closure of a Special Counsel investigation with unfettered authority to investigate ‘any links or coordination between the Russian government and individuals associated with the Campaign of President Donald Trump,’ it is abundantly clear, without a shadow of a doubt, there was no collusion. Furthermore, the nearly unlimited scope, resources, and subpoena power of the Special Counsel has allowed his team to fully pursue any matters that arose or may arise directly from the investigation. This case is closed. As we officially close this chapter, it is important for us to learn from the moment. As we look back, Democrat leaders acted irresponsibly and threw caution to the wind to damage and distract from the work the Trump administration is doing on behalf of our fellow citizens. While this conclusion is an embarrassment to those Democrats, it is more discouraging to think of the opportunity costs to our country. This should be a lesson to my Democrat colleagues that chasing imagined scandals and following a partisan investigatory agenda will not result in any meaningful change for the country. In fact, it will do the opposite. I understand that Democrats today are struggling with their own deep divisions and that it might be easier to attack President Trump than work together for a common cause. But after months upon months of manufactured outrage on this issue, it is time we move on for the good of the nation and focus on the job we were sent to Washington to do: work to address the real challenges facing our country. I am glad that the special counsel’s investigation has finally drawn to a close and we can put this outrageous chapter behind us. Rather than focus on the issues that affect the lives of everyday Americans, like jobs, health care, and border security, Democrats and their allies in the media have chosen to spend the last 674 days perpetuating conspiracy theories and lies in a shameless effort to discredit a President whose election they still are trying to overturn. 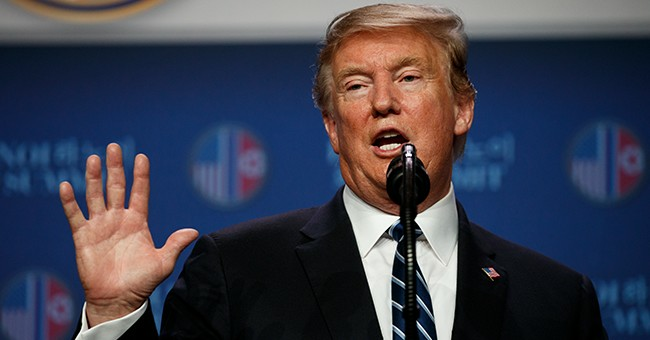 Attorney General Barr concluded that the president did not obstruct justice, and the special counsel definitively stated President Trump is not charged with any crimes. For years, high-ranking Democrats in leadership positions in Congress claimed the special counsel’s report would provide definitive proof of collusion, and today’s report has proven that to be an outright lie once and for all. Everyone who made those kind of untrue and outrageous claims should apologize for misleading the American people for the last two years. I’m glad Attorney General Barr has acted swiftly to release the conclusions of this report that vindicates President Trump and gives credence to the claims that this was a witch hunt that cost taxpayers tens of millions of dollars. This is a great day for all Americans. As we have said all along, there was no collusion and no obstruction. Now that this investigation is over, Democrats need to finally end their baseless investigations and political crusade against President Trump for the good of the country. Various members of Congress took to Twitter to press Democrats on the issue. Bad day for those hoping the Mueller investigation would take President Trump down. House Freedom Caucus members Jim Jordan and Mark Meadows agreed: Barr's summary should put an end to the "Russian collusion" saga. After 22 months of a special counsel and 2 years of congressional investigations, it’s over. The clock has finally struck midnight on the ‘Russian collusion’ fantasy. Attorney General Barr’s statement should end the debate: there was no collusion, and there was no obstruction. We should move on. But if history is any indication, you can expect Democrats to accept this result the way they accepted the 2016 election. As in, they won’t. The ball's in your court, Dems. How will you proceed?